Viscosity for Mac is a first class OpenVPN client that lets you secure your network with ease & style. Viscosity has been designed from the ground up for both Mac OS X (10.5 & 10.6) and Windows (XP, Vista, 7). Viscosity for Mac makes it easy for users new to VPNs to get started. Its clear and intuitive interface makes creating, configuring, or importing connections a snap. 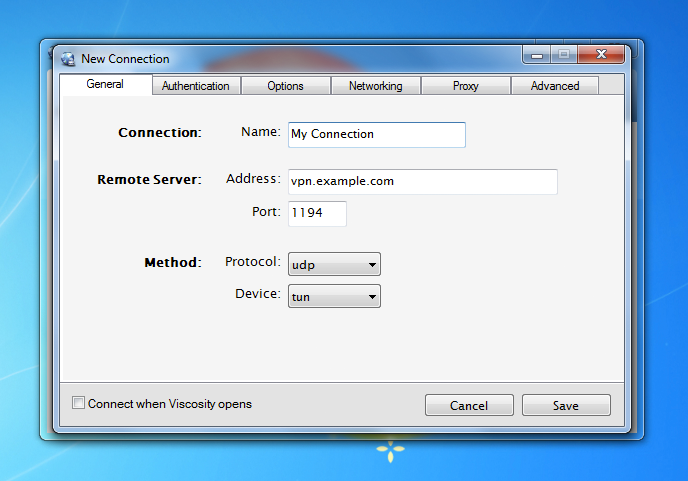 Viscosity is a class OpenVPN client that lets you secure your network easily. Viscosity has been designed from the ground up for both Mac OS X (10.5 & 10.6) and Windows (XP, Vista & 7) users. Completely configure OpenVPN connections through an intuitive interface, without any need to know complex commands. Viscosity is in use everywhere, from small business to Fortune 500 companies, schools, universities, at home and on the road. Viscosity monitors your OpenVPN connections to ensure you know all the important network and connection details in style. Viscosity fully integrates with Mac OS X's advanced DNS system to allow custom DNS servers and search domains to be used while connected. Easily bundle Viscosity with settings and connections so your users don't have to worry. Create simple deployable connection profiles. The hit action/puzzle game for Mac! Free Flash SWF movie player for Mac OS. A galactic war rages between two ancient civilizations. ACDSee for Mac graphics application supports Mac OS X and twain software. DVD Ripper for Mac, Video Converter for Mac and DVD Copy for Mac. A free, swift and smart Flash player for MAC. A religious take on the classic hangman word-guessing game. Barcode Label software for Mac which Create up to 20 types of barcodes. Free Mac Media player for DVD, VCD, MPEG and DivX. Qweas is providing links to Viscosity for Mac 1.3.3 as a courtesy, and makes no representations regarding Viscosity for Mac or any other applications or any information related thereto. Any questions, complaints or claims regarding this application Viscosity for Mac 1.3.3 must be directed to the appropriate software vendor. You may click the publisher link of Viscosity for Mac on the top of this page to get more details about the vendor.